The fresh, clean aroma of Spearmint essential oil is valued for its invigorating and refreshing qualities. It has a minty, slightly fruity and warm, herbaceous aroma. Spearmint is a mint specie that is grown in Europe, Asia and in parts of North and South America, North and West Africa, as well as in some oceanic islands. Spearmint essential oil has been used for different purposes from ancient times. In historic times, it was used to treat skin problems, digestive conditions, and headaches. Spearmint essential oil is derived from an herb that grows up to about 1 meter in height with bright lance-shaped green, serrated leaves and pink flowers. Spearmint has properties that benefit respiratory conditions such as asthma, flu, bronchitis, nasal congestion and sinusitis. This oil also helps relieve hiccups. Dilute with a carrier oil before applying on skin. Spearmint encourages confidence, clarity, courage, and speaking and helps those who are afraid to express opinions or speak in public. 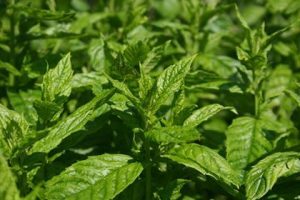 If using Spearmint for emotional wellness, try using it with our free EFT Tapping scripts for Sleep and Courage and Clarity which help release these emotional issues. Maximum skin use level is 1.7%. For external use only. 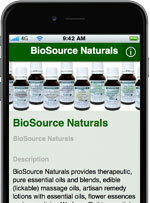 See our Safety Information page for further details when using essential oil.